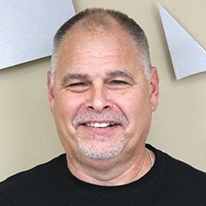 John is part-owner of LKCS and currently serves as our Vice-President of Sales. His responsibilities include managing the overall efforts of our Sales team, as well as growing our client base in the financial market. John manages several accounts, providing them with quality products and services. John's contributions to our blog include his writings on various marketing solutions and strategies for financial institutions. Where Have All The Good Loans Gone? Account holders are far more educated now than they were in the past. Today’s consumer is more willing to shop other financial institutions and possibly switch to save on their monthly bills. Are you prepared? Are your rates and offers competitive enough? In today’s post we’ll outline ways LKCS can help you to monitor current account holders, and even find new ones. Got loans? Are they the right loans? On average, 5% of your account holders are looking for an Auto, Mortgage, HELOC, or credit card loan every month. Are you aware of this and what are you doing to take advantage of this? 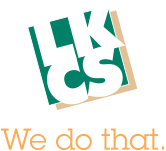 Consider a credit-based marketing campaign with LKCS to help identify and acquire new loan opportunities. The emphasis in today’s marketing is to talk one-one-one with your customer. A personalized message gets their attention and increases the probable return on your marketing campaign. We can help you obtain targeted mailing lists, use demographic data to help target similar customer types, and help you to access mailing lists for any industry or profession.